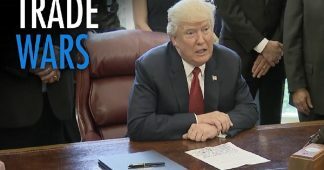 The Trump administration has opened a trade war against China by announcing that tariffs will be imposed on up to $60 billion worth of Chinese exports to the United States. It has also launched a treasury investigation to devise measures to prevent Chinese investment in industries with technologies that the US regards as strategic. 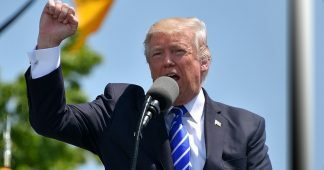 President Donald Trump unveiled the measures yesterday, following a seven-month investigation by the administration, targeting China, under Section 301 of the 1974 US Trade Act. The administration has drawn up a list of more than 1,000 products that could be targeted. The details will be released within the next few days, after which businesses will have 30 days in which to respond before a final decision is made. The treasury has been ordered to draw up recommendations within 60 days to lay out specific restrictions on investments by Chinese companies, state-owned enterprises and sovereign wealth funds in the US. Both sets of measures will target 10 industries that China is seeking to advance in its “Made in China 2025” industry policy, including information technology, aerospace, energy-saving vehicles and medical devices. 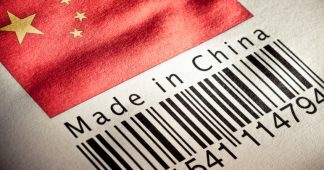 Speaking to a Senate hearing yesterday, US Trade Representative Robert Lighthizer said the Chinese products to be targeted had been chosen by an “algorithm” aimed at minimising harm to US consumers, while maximising the impact on China. 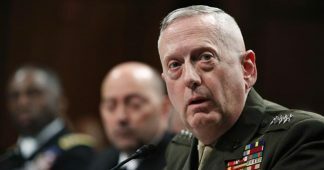 According to the newspaper’s report, Navarro said the decision was part of the National Security Strategy presented by the administration in December, labelling China as a strategic competitor that practised “economic aggression” against the United States. In response, US business groups supported action against China for its alleged violations of trade rules and technology transfers, but warned of the impact of broad-based tariffs on the US economy. But Trump won fulsome support from leading US Democrats who, together with the American trade unions, have been advocating trade war measures against China. 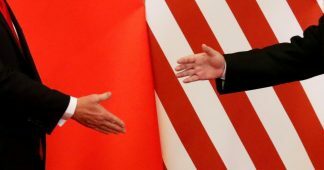 Seeking international allies for the trade war against China, the administration will launch a World Trade Organisation (WTO) case over China’s allegedly “biased” technology rules, claiming they block US firms from competing in China. As part of this manoeuvre, the White House announced that steel and aluminium tariffs impacting on the European Union and other exporters to the US, due to start today, would not go ahead while negotiations took place. The administration has made it plain that in return for exemptions, it is demanding support for its actions against China. The Chinese commerce ministry indicated it is ready to retaliate, prompting a warning from Lighthizer that any such action would be met with counter-measures. “China will not sit idly by and let its legitimate rights and interests be harmed, and will certainly take all necessary measures to defend its legitimate rights and interests,” the commerce ministry said. China has already prepared counter-measures, such as restrictions on US exports of agricultural products, including soybeans, sorghum and live pigs. China purchases one third of the annual US soybean production. China’s first retaliation was announced yesterday. The commerce ministry said it planned to impose a 25 percent tariff on US pork exports and a 15 percent tariff on American steel pipes, fruit and wine. It said it would take legal action through the WTO and urged the US to resolve the dispute through dialogue. If that approach fails, more far-reaching measures could be adopted. 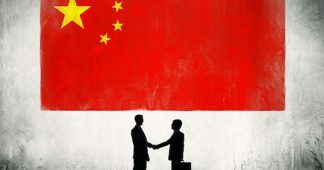 Robert Manning, an expert on US-China relations at the Washington-based Atlantic Council, told Bloomberg that China would initially adopt a low-key response and try negotiations. “I just worry that if it gets really ugly, they may go for the nuclear option,” Manning said. That would include selling a couple of hundred billion dollars’ worth of US treasury bonds, an action that would tank US markets and send interest rates up. Financial market nervousness over the prospect of trade war was reflected in yesterday’s 724-point fall in the Dow, a drop of 2.9 percent. The sell-off extended to other indexes, with the S&P 500 down by 2.5 percent. While the moves and counter-moves flowing from the US-initiated trade war cannot be predicted exactly, the broader, historic, implications are clear. Recent months have seen assertions from leading global economic institutions and think tanks that, nearly a decade after the financial meltdown of 2008, the world capitalist system is finally enjoying a sustained economic recovery. But right at the point where the agencies of the capitalist ruling classes are claiming that once again “all is for the best in the best of all possible worlds,” a trade war has been launched. As the bloody and violent history of the 1930s shows, this leads inexorably to economic disaster and ultimately world war.